While Cuomo and his team speculate about hypotheticals, people in the real world need affordable energy. Steve then provided a link to this CapitalNewYork.com article, “A sign of a coal comeback in New York.” The article describes how a proposal to repower the coal-fueled Greenridge power plant in Finger Lakes, NY may provide the state’s power users with some much needed relief from skyrocketing electricity rates. 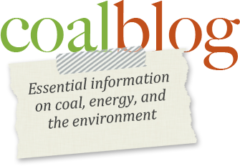 In fact, the far more reasonable prices offered by coal, along with its rapidly improving environmental performance, may bring the number of online coal-fueled generation plants in the state up to five by 2015. As I discussed in a CoalBlog post yesterday, New Yorkers paid over 20 cents per kilowatthour for residential electricity in March 2014 and New York Governor, Andrew Cuomo, has actually put forward a plan that will see the state spending a further $333,000 per megawatthour to subsidize the installation of solar energy across the state. At the same time, Gov. Cuomo has banned fracking, meaning the state has to import much of its natural gas supplies. The massive increases in electricity prices are simply not sustainable. The repowering of Greenidge shows this winter’s record utility bills could help make coal viable again, at least temporarily. The state’s fracking ban means New York must import its natural gas. Without enough pipeline capacity to meet demand, prices quickly spike as supplies are depleted. According to the plant’s owners, the 104-megawatt plant will meet demand when winter’s gas shortages push up energy prices, which almost doubled during this winter’s polar vortex. This week, natural gas prices started to creep upwards again as the nation’s power producers brace for the summer’s heat and the demand from air conditioners. The Greenidge plant, which could be online by August if it receives state approval, will mitigate costs in the Finger Lakes region, spokesman Mike McKeon said. “Bringing it back online means property taxes for schools and the local government, plus it creates jobs,” he said. There is absolutely no doubt that New York should approve this proposal as doing so will provide much needed price relief and stability to their generation system.